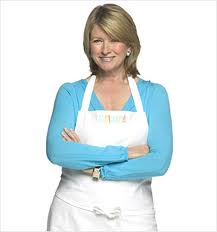 Martha Stewart Internships are offered to college students in a variety of areas. The internships are held during the summer and give college students a great opportunity to work in an innovative, progressive, and fast-paced professional environment. Students will spend the summer in exciting New York and work on projects that match their career goals. Some of the internships include marketing, corporate communications, art, finance, editorial, video, photography, merchandising, food, and many others. Applicants must have completed their junior year of college before applying and also have approval to receive credit for the internship. The internship is eight weeks and includes work experience and an education and entertainment program that gives interns a tour of the facilities and studios, along with group recreation. The internship is sponsored by Martha Stewart Living Omnimedia, which produces Martha Stewart television and radio programs, magazines and e-commerce websites. Martha Stewart is not only an American business magnate, but a writer and popular television personality who is considered an expert on food and cooking, decorating and living well.